Occupational exposure to pollution may accelerate or even induce the onset of diseases. A pecuniary compensation, to be paid by the state or the company, is then due to the exposed workers. The computation of the amount of this compensation might be based on the so-called “expected number of years of disease-free life” lost by the workers due to their occupational exposure. In order to estimate this number of years, we propose a method based on the threshold regression model also known as first hitting time (FHT) model. This model was initially developed for cohort studies. 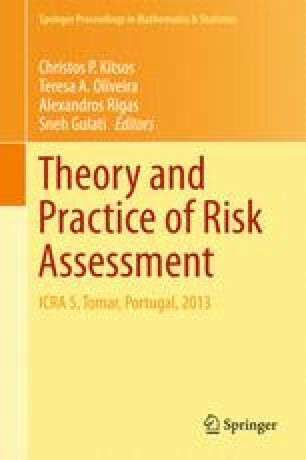 As our motivating example is a case-control study conducted in France to evaluate the link between lung cancer occurrence and occupational exposure to asbestos, we define a FHT model, adapt it to case-control data, and finally derive, for each worker in the study, the estimated expected number of years of disease-free life lost due to their occupational exposure to asbestos.